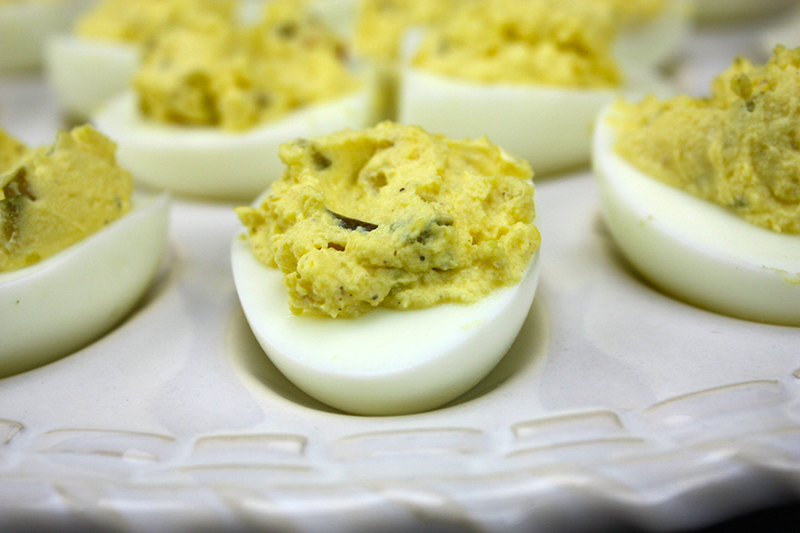 Deviled eggs are always present at our cookouts, holidays and family gatherings. 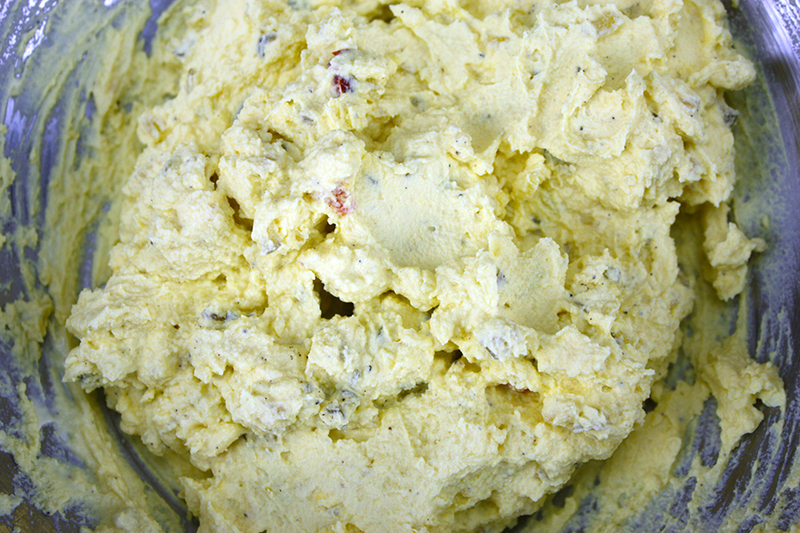 This recipe is a must have in your repertoire. 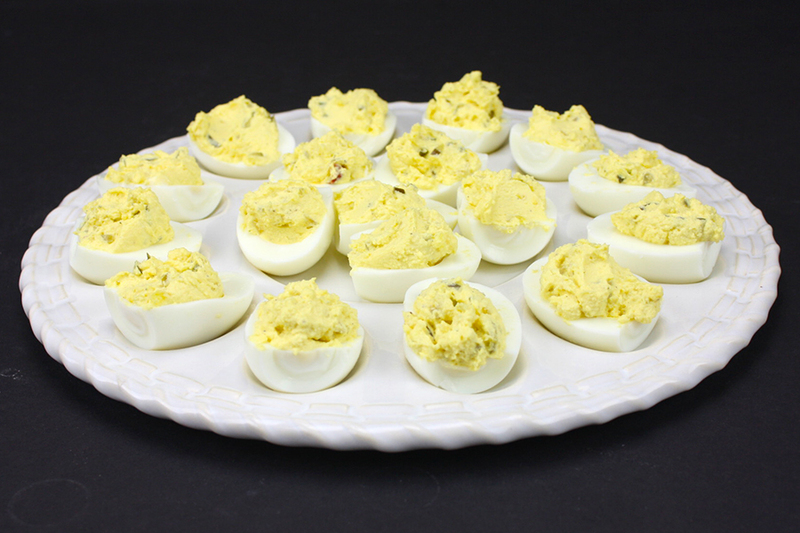 Deviled eggs are a hit at any party or gathering. 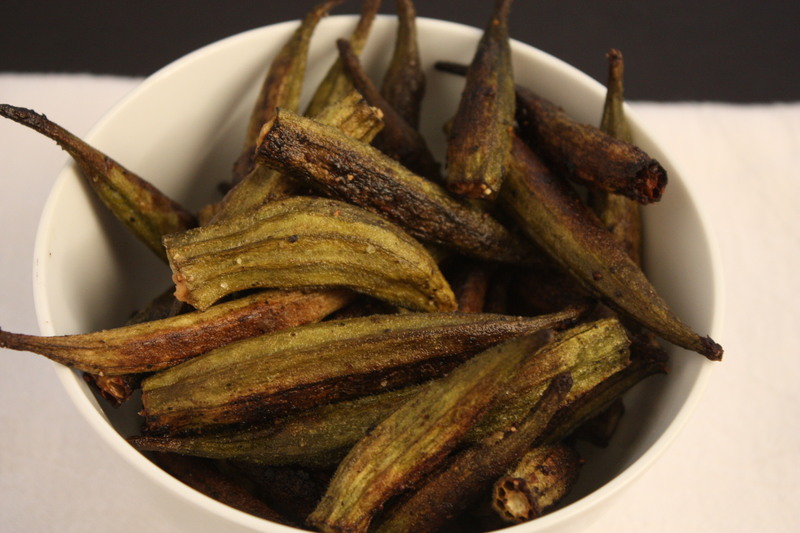 We grew up with them at every family gathering no matter what time of the year. And only 3 ingredients. Well, five if you count the salt and pepper, which I don’t. 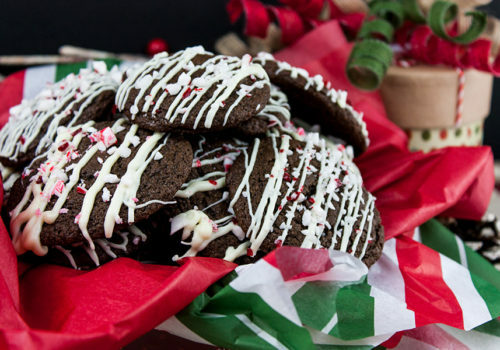 They are so simple and scrumptious. It’s hard not to just pop one in your mouth while you are making them. Ok, I admit after countless years of making these I now boil an extra egg for the sole purpose of eating while prepping. Boil the eggs in a pot of water to cover for at 10 minutes. Drain and place in an ice bath. They are much easier to peel if you gently crack each egg and allow to cool completely in the ice bath. Slice the eggs in half lengthwise and pop out the yolk into a bowl. I use a fork to smash the egg yolks. Mix in the mayo, dill relish, salt, and pepper. I use a spoon to fill the whites with the yolk mixture. If you want to be fancy place the yolk mixture in a zip bag, snip off a corner and pipe into the whites. 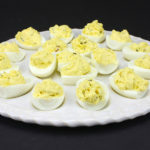 Deviled Eggs - 3 Ingredient deviled eggs. This is our favorite deviled egg recipe, it's always requested! Once water is boiling cook eggs for 10 minutes. Remove from heat, drain and fill with cold water and ice cubes. Let eggs cool completely before cutting in half and making the yolk filling. When eggs are completely cool, remove shells, rinse any residual shell residue off and pat dry. 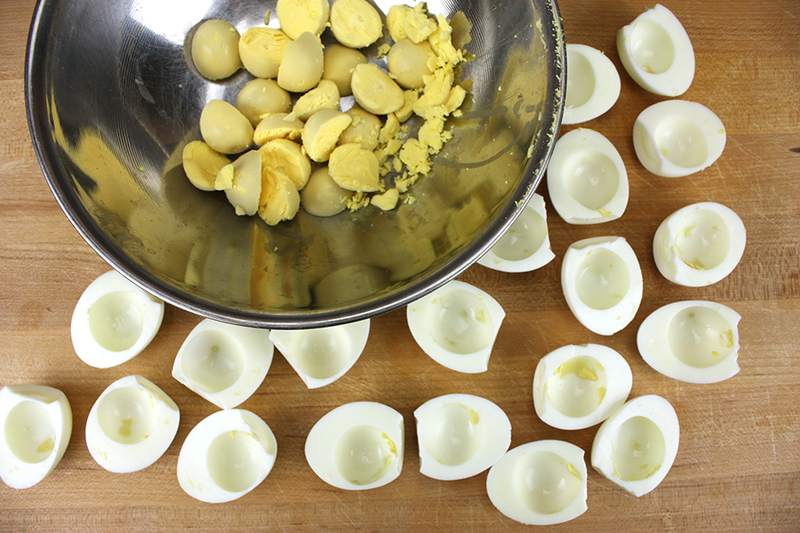 Using a sharp knife, cut eggs in half carefully and softly remove the yolks and place them in a small mixing bowl. Repeat until all eggs are halved and all yolks are in the mixing bowl. 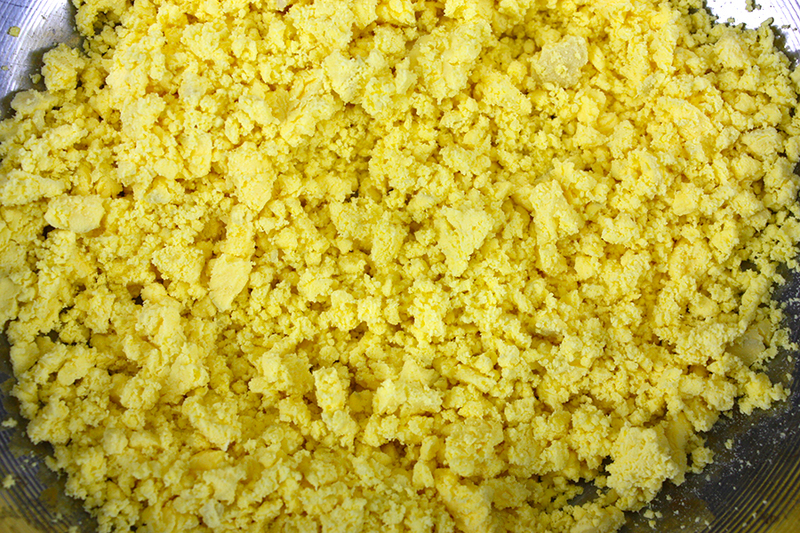 With a fork, mash the yolks until crumbly. Add the dill relish, mayonnaise, salt and pepper to taste. 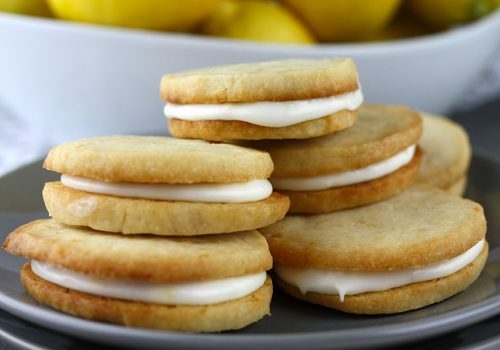 Using a small spoon, or piping bag if you prefer, fill the egg whites with the yolk mixture.